Andrew G. Cangemi | Ruskin Moscou Faltischek, P.C. Andrew Cangemi has successfully navigated almost every issue concerning property valuation. His background also is highlighted by extensive trial experience with the most complicated issues involving commercial, business and residential properties. He serves as special counsel to Ruskin Moscou Faltischek, P.C. in the Tax Certiorari Practice Group. Beginning his career in the Nassau County Attorney’s office, he developed his skills in property valuation for both certiorari and eminent domain matters. Andrew currently serves as chairman of the Village of Northport Board of Zoning Appeals and is a lecturer of both the Nassau and Suffolk County Bar Associations. He is the past chairman of the Nassau County Tax Certiorari and Condemnation Committee, a former member of the Nassau County Judicial Advisory Council, and past president of Advancement of Commerce and Industry and the Nassau County Chapter of the Boy Scouts of America. 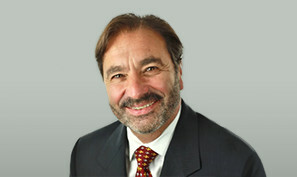 He is a partner at Herman Katz Cangemi & Clyne, where he also practices tax certiorari law.